This past Saturday, Arts at Michigan sponsored a trip to the Stranahan Theater in Toledo, Ohio to see the musical Evita, which tells the life story of beloved Argentinian First Lady Eva Perón. The music, which was composed by Andrew Lloyd Webber (of The Phantom of the Opera and The Wizard of Oz fame), is a blend of rock and traditional musical theater-type styles, with Latin American influences. I had never seen the musical before, but I knew the musical’s most famous song, “Don’t Cry for Me Argentina.” However, I also recognized some of the other songs! Oddly enough, the musical begins with death – the first scene is Eva Perón’s death being announced over the radio, followed by her funeral, and the first song is “Requiem.” From there, the plot flashes back to her girlhood, and then moves through her life, to when she met her husband, Juan Perón, to his election as president of Argentina, to her time as first lady, and then back to her death. In other words, the plot is ultimately a circle. Separately, it is impossible to capture an entire (albeit short) life in a two-hour musical, and at times it felt like the “Spark Notes” version of a much more nuanced story, which left me wanting more. Furthermore, the musical’s ending was probably the most abrupt conclusion to any musical I have ever seen. Eva Perón’s death was essentially the end, and there were no bows or loud applause, as is the usual for the end of a performance. Rather, a single spotlight illuminated the main characters one by one, in complete silence, and the audience applauded lightly. It was surprising, and I didn’t expect it to be the end of the musical, but in some ways, it made sense. It would not have made sense for the musical to end with exuberant bows music, right after its main character died. Additionally, the show’s abrupt ending mirrors the abrupt ending to Eva Perón’s life – she died of cervical cancer at age thirty-three. One disappointment of the show was that the theater was suffering technical difficulties. The show did not start on time because of these issues, and it was extremely difficult, particularly during the first act, to understand the dialogue. Because of this, I had trouble following the storyline at times. Also, the set incorporated a large screen that displayed images of the actual Eva Perón throughout the musical, which provided a constant reminder that the events depicted occurred in real life. However, due to poor set design, from my seat in the upper part of the balcony, the top half of the screen was obscured by the top of the stage, and so I was unable to see Eva Perón’s face in most of the projected images. 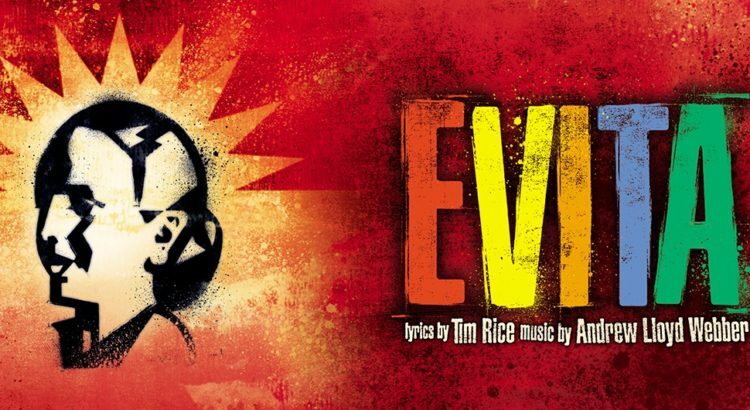 Aside from some technical issues, though, Evita was a fascinating show that left me wanting to learn more about the complex woman whose life it illustrates.